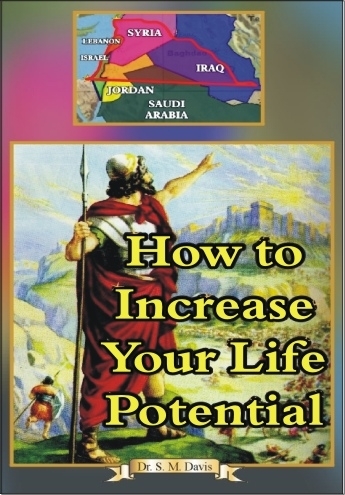 When the children of Israel entered the promised land, they conquered a large portion of land. However, Israel has never conquered as much land as God said she could have. According to Genesis 15:18, Joshua 1:4 and Ezekiel 47, God meant for Israel to have not only her own land, but 1/2 of Jordan, part of Saudi Arabia, 1/3 of Iraq, 1/2 of Syria, and all of Lebanon! Israel was meant by God to have an area of land ten times the size she has now or has ever had! What if Israel had taken all God promised her, and then asked God to enlarge her coast?! 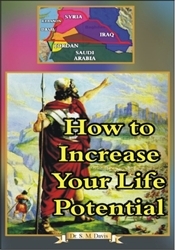 This DVD provides 8 things you can do to increase your life potential. This title is also available for a special price in our DVD Youth Collection.